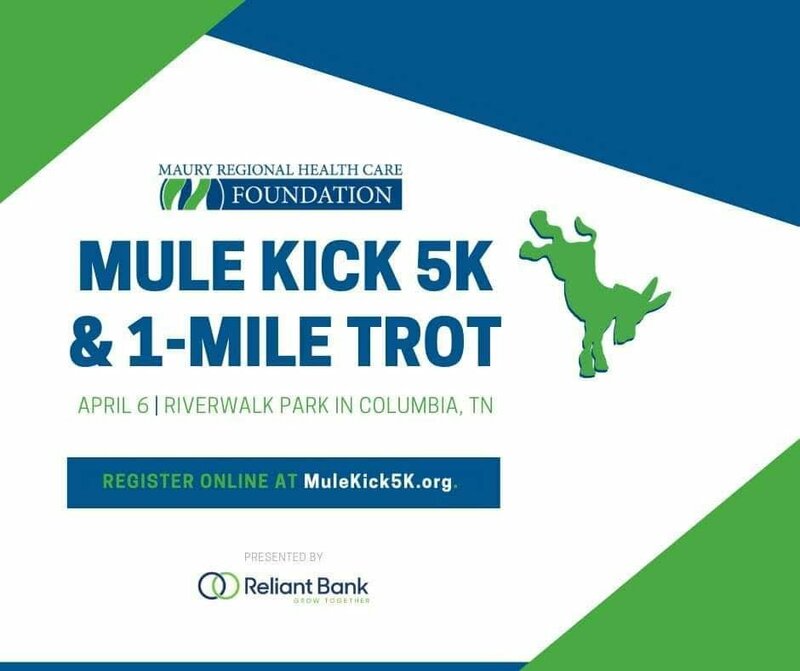 This morning I participated/finished the 1 Mile trot during our annual Mulekick 5K with several members of my local stroke group. 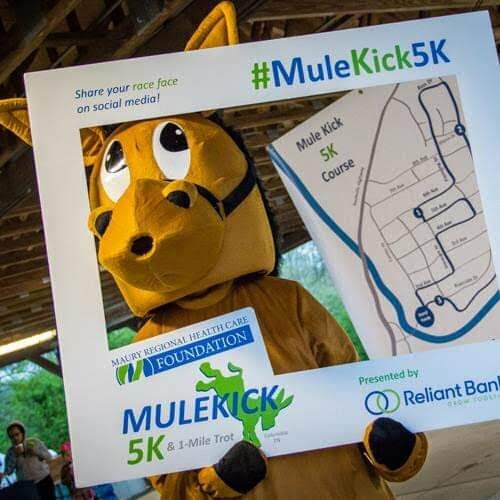 My local hospital sponsors this each year on Mule Day for health awareness. Lots and lots of people participate... Most do the 5K and several do the 1 Mile trot...young (like probably 5 to any age). Those young people are full of energy and pep! They are fast and run the mile. Haha they were already on their way back to the finish line before our group made it down the river park trail to the walking trail around the bend. I was cheering them on as they passed! Myself and another stroke survivor walked together with her husband beside us. She uses a cane and a scooter... She'll walk for a while and then ride for a while. We finished last for the 1 Mile trot but then I caught wind of some truly awe inspiring news about another survivor friend of mine. He signed up for the 5K this year! Last year he did the 1 Mile trot with all of us but his goal this year was to complete the 5K! This is an awesome and inspiring story because he is young (34) has a wife and two small kids and was a RN on the stroke floor at Vanderbilt at the time he had the massive stroke 2 yrs ago. He has pictures where 1/2 of his head is literally gone. They had to rebuild parts of his skull and today you could never tell. His stroke was very severe but he has made a remarkable recovery. He wears an AFO on his right foot and ankle and has little use of his right hand. I stayed sitting on a park bench with a few others ready to cheer him on. We were told he was just down the road. The ER and fire dept. stayed with him either walking or on bikes and sure enough after about 20 minutes we saw the first glimpse of him slowly making his way to the finish line. We whooped and hollared "GO TRAVIS!!" with lots of claps to cheer him on. He did it! He completed the 5K with no assistance! He was the last to cross the finish line but a hero for so many. I'm so proud of him! We all had a good time and the weather was perfect. Mule Day is today in my little town. It's an annual event that started over 180 years ago. In the past 40 years it keeps growing and we now have over 200,000 people visitors from all over the country come each year. It starts the days leading up to Mule Day which is always during the first half of April. It celebrates an old tradition in the area believe it or not about miles and their part in the south. There are events all week like, Mule pulling (Similar ti a tractor pull but with mules), we crown a Mule Day queen, different craft events through the week, each of our local businesses get involved, there is a contest for best Mule of the year, Mule auction, festivities for kids to enjoy, petting farm (not zoo lol these will be animals you would find on a farm), a Liar's contest, square dances, and the coveted Mule Day Parade which started today at 11am for a couple of hours. The festivities will continue through the weekend. It's our little claim to fame. Google Columbia, TN Mule Day. Congratulations to all the stroke people who completed their goals today. Particularly Tracy and Travis! Today here in Melbourne is the "Run 4 the kids" You can do either 5 km or 10 km and the course takes you over the Westgate bridge, which gives you a stunning view of the city centre. The bridge is not normally open to foot traffic so I would love to do it, but this year I wasn't in training and a 5 km is more than I felt game to do (I walk, I'm not yet running or even jogging), and you need to do it in a "sensible" amount of time as they can't close the bridge to traffic for too long even on a Sunday. That bridge is the primary crossing between the east and west of the city. My gym had a team in the 10 km. Run 4 the kids raises money for the Royal Melbourne Children's Hospital, which is one of the leading hospitals for children in the country. That's great Heather! I am with you on the 5K...I am amazed at Travis! 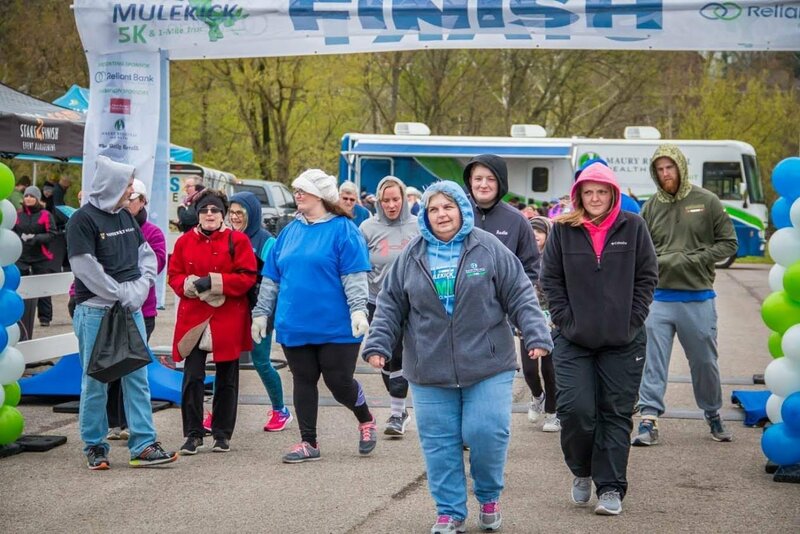 Here are some pics 1 info pic and 2 from the event...the last one is a group of walkers in the 1 mile trot last year it was freezing!!! That is me...the fluffy one in blue tshirt and layers underneath with gloves and a crocheted hat of my nanny's from about 50 years ago. I was walking by another stroke survivor anf friend she is in the red coat. wOW, That looks like mid winter! Way to go, Tracy! I love the hat!